Softball results from May 8Here are the May 8 softball results reported to GameTimePA.com. Softball results from April 17Here are the April 17 softball results reported to GameTimePA.com. A-C's Garis fires shutout against N. LebanonPut the ball in play. Play solid defense. And get a well-pitched game. That formula worked for Annville-Cleona softball. Softball results, April 13Here are the April 13 softball results reported to GameTimePA.com. Softball results from April 5Here are the April 5 softball results submitted to GameTimePA.com. 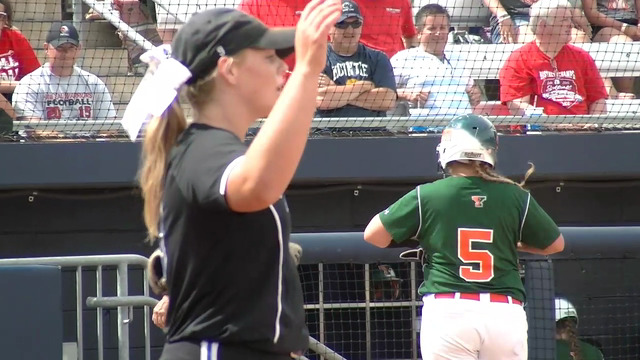 Softball scene lost a treasure in Tina SandersIt was a rather joyous week on the Lebanon County scholastic sports scene, highlighted by the district championships captured by the Northern Lebanon and Lebanon Catholic girls basketball teams on Friday at Giant Center. Dorta to take over A-C softball programThe Annville-Cleona softball program has been without a head coach since popular former boss Dave Bentz was forced out of the job after 11 years amid controversy following last season. A-C set to hire Melvin Dorta as softball coachThe Annville-Cleona softball team is expected to have a new head coach next week, and the name is one that will be more familiar more to local baseball fans than softball fans. Switching circles: Softballer Brittany Hook fills void for Penn Manor field hockey Penn Manor’s Brittany Hook is adept at pitching shutouts. Before this season, however, she had never thrown a shutout on the pitch. Bentz is out as A-C softball coachThree weeks ago, friends and supporters of Dave Bentz attended and/or spoke up at the Annville-Cleona school board meeting in hopes of saving his job as softball coach. Hempfield/Penn Manor Hype VideoHempfield will take on Penn Manor Wednesday at 7pm at Garrett Field for the L-L softball championship.